When media consumption goes too far. The party is over, or so we are told. Blame who you want: Wall Street speculators—minorities with the audacity to be home owners—two years of a Democratic congress or eight years of Dubya. Bottom line–America has awoken to the cruel reality that an economy cannot survive based only on endless and increasingly manic consumption. For a time the nation made a valiant last-stand of mass disavowal, millions of Americans raiding the nearest Wal-Mart each week for new flat-screens, bulk salad-shooters, and mountains of 99 cent undershirts, all the while realizing that their own community’s only remaining exports were tears and crystal meth. To those reading this beyond the borders of the U.S.A.: our apologies—we would have bought more crap, but we’re completely maxed out. Up in critical theory heaven, I can only imagine that Marx and Baudrillard are laughing themselves sick over our current predicament. Intoxicated by the sheer plenitude of the media and our own pleasures of consumption, television studies in particular seems to have thought that it was finished with such bummers as alienation, ideology, and commodity fetishism. All of that messy totalizing “theory” had seemingly been replaced by draining the Marxism out of the CCCS, translating Stuart Hall’s “Encoding/Decoding” into the language of a network marketing plan, and empowering an entire generation to dismiss Adorno as a humorless lunkhead because he couldn’t or wouldn’t (hypothetically) recognize the complexity of the Battlestar metaverse. It was a great scam. The proliferation and fragmentation of the media allowed us to find more and more content worthy of our attention, extol the pluralistic virtues of a seemingly infinite marketplace, and celebrate the special status and ingenious pleasures of anyone who liked television for any reason (except, of course, Fox News). Meanwhile, television as an object, institution, and vector of power slowly went ahead and continued doing what we always suspected it was doing—stealing more and more of our time and creative energy; dissolving any lingering remnants of embodied community; and encouraging us to continue yielding our interiority to fantasy lives crafted by market forces. For his part, Baudrillard made a series of observations/predictions thirty years ago that seem to be coming true with alarming accuracy: 1) As the west ascends into simulation and hyperreality, the only remaining political tactic of any consequence will be terrorism, inasmuch as the terrorist intervenes more in the world of signs than in territory; 2) Western consumerism would eventually succeed in completely replacing “exchange value” with sign value, creating a “system of objects” that would cultivate and replicate the consumer-citizen as the vector for its own survival (in other words, your iPod needs you more than you need your iPod); 3) Leftist reformers of media would continue to fantasize about improving the progressive content and positive applications of the media, when the very advent of television as television signaled the endpoint of such rationalist paternalism. Over the course of his career, Baudrillard gradually became something like the court jester of cultural theory, but consider this: Many of us now root for Obama in what is essentially a sign war against the terroristic tactics of the McCain campaign, hoping he will deliver us from an economic meltdown triggered by a collapse in credit and consumer confidence that is, at its heart, a crisis in the signification of value, assets, and the future. Moreover, this crisis in monetary meaning stems in part from an attempt to finance a doomed simulation of American military strength through appeals to a fantasy of limitless shopping and virtual equity—a form of consumer ecstasy explicitly sanctioned by the President as an appropriate sign of solidarity in the wake of the terrorist attacks of 9/11, which was itself a spectacle of global fascination engineered by bin Laden to strike a symbolic blow at the heart of the western world’s financial center that, in the end, seems to have revealed there was really only a symbol there in the first place. Yep, Baudrillard was an idiot. Is media studies poised for a similar collapse? One could certainly argue that television studies’ often unexamined celebration of consumption has invested in the unstable fiction of the “active audience” with the same zeal and certitude that bankers bought up sub-prime mortgages. Perhaps because our big brother, film studies, seemingly reached a dead end in theorizing larger issues of representation, subjectivity, politics, etc., television studies often seems happy to go for the low-hanging fruit of the more localized negotiated reading, a theory of hegemony and desire that comes without all the baggage of basic alienation or a barred subject. Accelerating immersion into the media is to be celebrated because audiences are now active, even creative in their engagement of the culture industries. But if we examine what constitutes the activeness of the active audience—customizing one’s TiVO profile; setting up a Heroes blog; organizing a save Friday Night Lights campaign; planting spoilers in an I Love Money chat-room; writing a John Adams slash story; firing off a missive to Anderson Cooper 360; buying an entire season of Lost on DVD so that one can lose another 19 hours of their life—we should be compelled to ask if these “activities” actually serve us, or if they instead actively expand the demands and desires of television itself, the most seductive point-man in the overall “system of objects” that wants us to continue serving as the Petri dishes in which it cultivates its own future sustenance. 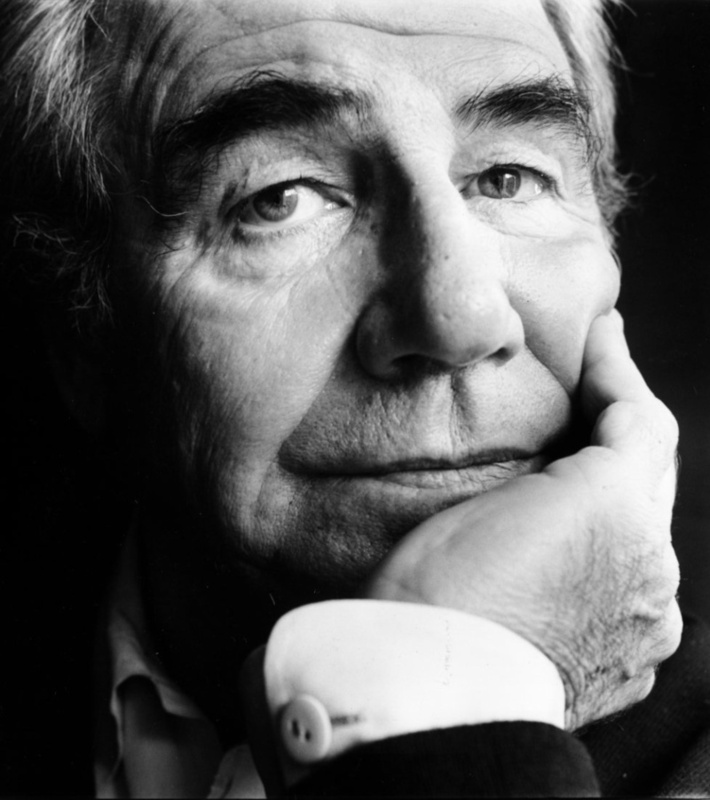 In his short polemic, In the Shadow of the Silent Majorities, Baudrillard argued that the masses—as a phantom of sociology—possess only inactivity and inertia as a weapon to guard against interventions into their non-existence. Like a black hole, these hallucinatory masses are to be celebrated for their ability to absorb and neutralize any attempt to define and/or understand them. In this respect, perhaps the much-maligned “passive” viewer of television wasn’t such a bad guy after all—a spectator who consumed media sporadically, casually, and even resentfully– exhibiting a minimum of fascination for the medium itself and remaining stolidly impervious to television’s desire that we engage it more actively, with greater attention, in imaginary dialogue, with creative enthusiasm, and in increased opportunities for multi-platform consumption. We may find that encouraging a more active engagement of the media, rather than a passive resistance and reluctant coexistence, will be like catching the confrontational gaze of a psychopath on the subway: he knows that we know that he knows that we are watching him, opening the door for an escalating spiral of control and terror that will prove very difficult to escape. When will we know we have actually entered the depression that follows our consumer blow-out, both in the global economy and in the meaningful production of new media theory and criticism? Most likely television itself will let us know when the economic depression has begun, and in so doing, will only underscore our continuing inability to fully theorize the medium’s power to integrate our financial and libidinal economies. Then again, for those who don’t have to pawn their sets for food and rent, we might realize the depression has begun once we notice the economic undead beginning to mass around the previously snug and secure boundaries of our home theaters. They won’t be there to discuss The Gilmore Girls. 1. When media consumption goes too far. 3. Baudrillard told you so. I appreciate the way you critique the diminishing impact of critical perspectives in television studies, in particular those perspectives that bring with them an inherent suspicion of the capitalist market (rather than the seemingly happy embrace of it in some contemporary media scholarship). However, I don’t think that a wholesale dismissal of the perspective you label “active audience” is necessary. Nor do I think that dismissing scholarship on Gilmore Girls or any other particular television text, or of the ways that viewers interact with such texts, is an appropriate corrective. Challenging what may seem like an acceptance of television’s consumerist function in some scholarship need not resort to old-school political economy-style bashing of all television, all TV viewing, or all TV scholarship that takes such matters seriously. To do those things seems to me to rehash a debate between two poles of media theory and criticism that were never as far apart as their respective proponents declared, and which falsely juxtaposed a masculinist, elitist “TV is duping the masses” perspective with a feminized, populist one. I share your desire for media theory and criticism that offers something new, and something that helps us to grapple with television’s place in our contemporary quagmire of consumption, but think that the way to inspire such intellectual creativity is to encourage work that takes ALL dimensions of television seriously–its programming and its engagement by viewers as well as its complicity with a troubled economic system. To me, the day we neglect any of these dimensions in favor of any other is the real harbinger of the “collapse” of television studies. Thanks for the great, timely column. I think you bring up some very difficult questions that may require media scholars to reevaluate their own relationships with the field. I also wonder about other repercussions of the drive to consume media at increasingly accelerated rates, namely the damage wrought on the environment. Do we need to begin talking about an ethics of media studies? It must be the province of Great Men to trivialize whole bodies of knowledge and scholarship, and to consider matters of economy as if they have no affective functions. After all, Great Men have long waged wars — critical and others — with a staggeringly myopic view of what constitutes “the economic” and “the political.” Citing Baudrillard betrays a desire to play provocateur and have the proverbial Final Word. Engaging in meaningful praxis about the direction of the field might ask what points of connection exist between “active audience” scholarship and political economy criticism at this particular juncture. Pointing to the heavens just to wonder if Baudrillard is laughing casts an archaic pall over a critical tradition regularly complicated and invigorated by issues of difference. Referring to the spectre of Great Men as conclusive proof that criticism made in the name of plurality is somehow ill-conceived isn’t all that shocking — it’s just wrong. An intriguing provocation as usual, Jeffrey, which reminds us that certain voices and theories still have not only relevance but invaluable insight, despite not being in the current media studies playlist (there’s that iPod again). Many other voices from the past similarly have much to offer about this moment. That said, I’m inclined to agree with Elana and Hollis that simply reasserting old dichotomies and reanimating Great Men is of limited critical use, and is more of a valuable point to raise and advance the discussion than an endpoint. I agree wholeheartedly with your reservations about the seeming hegemony of “active audiences” in much media studies today, and of our continued focus on relatively marginal texts and practices (a focus that’s been more or less constant in the 17 years I’ve been working in the field). 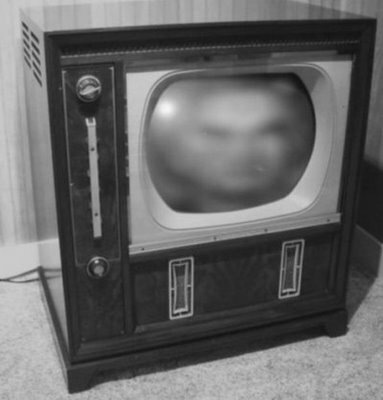 I think we may indeed have lost sight of “television” (in a Williams sense of the word), and even (gasp) “mass culture” (to reanimate everyone’s favorite straw man, Adorno) along the way, and that has left us less-than equipped to handle this looming social collapse. However, the way forward should be less through “fiat by Theory” (as alluring as that still remains, not least because it reads and sounds “cool,” as in George Carlin cool), and more through reassessing our critical tools and (most importantly) analytical methodologies. Just what is the “it” that we’re not only studying, but basing our definition of “the Field” on? Should that “it” change radically at particular historical moments, or should it remain constant? How do we get at that “it”? Are we wedded to our tools, our product, both, neither? I’m not certain of the answers at all, but I do know that it’s essential to critique where we’ve been and what we’re doing, and we certainly need more of that soul-searching. I’m just not convinced that picturing the smug ghosts of Karl and Jean, or avoiding eye contact with Lorelai Gilmore on the subway, is all that helpful in the long run. It’s easy to forget that criticism is an ongoing dialogue, and instead to allow a caricature of our presumed opposition to stand in for a real debate. Some degree of strategic ignorance is a necessary part of our work — we bracket off portions of the debate, setting them aside so we can focus on what we most care about. Maybe Jeff is being hyperbolic and deploying some caricatures of his own, but frankly he’s got a point. When we allow a caricature of critical theory stand in for the real thing, we evacuate reception studies of a crucial point of leverage — perhaps its most important one. It’s worth remembering that the foundational scholarship on active audiences began by trying to theorize the possibility of audience agency within conditions of alienation, marginalization, and economic exploitation. If, on the other hand, all we’re doing is celebrating “agency” without a critical discussion of that which it is pushing against (whether it be ideologies, institutions, economics, etc. ), what’s the point? Optimism for its own sake? Blech. The best reception scholarship still understands audience agency and participatory cultural production as fundamentally emerging out of tension, exploring such issues as the cooptation and commodification of fan practices by media industries, the porous boundaries between consumption and production, ideological struggles, etc. The best of this work will endure, and will continue to spark a productive dialogue with critical theory of even the sternest sort. It’s a conversation that needs to continue. One small quibble, though — it seems a little disingenuous to critique fans and reception scholars for their disconnect from the real, while simultaneously pointing out that the realm of the symbolic has profound material effects. No? I am so totally going to find some of that John Adams slash. Hawt. Then I’ll go vote, even though the choices may never really measure up…. I appreciate the concerns raised by Elana, Hollis, and Derek—in fact, I could have anticipated many of them. As Derek quite rightly points out, this debate has been going on for several years now. What concerns me, I suppose, is a seemingly growing trend in television studies to settle into a comfortable form of pluralist mapping, and in the process, a ceding of the aesthetic and creative functions of theory/criticism for a type of positivist sociology that tends to reaffirm the logic of the marketplace. I think we can all agree that different people (and people of difference) like television for a number of reasons—they’re supposed to. 2. It is interesting, and indicative of where we are presently, that all 3 responses to a piece critiquing our unexamined emphasis on active/affective pluralism rather explicitly warn against a “dichotomy” that would squelch the active/affective pluralism of media criticism! Obviously, everyone should do what they want in media scholarship—but sometimes appeals to theoretical abstraction can remind us that something might actually be at stake, and that the constant appeal for a harmonious variety of critical approaches is, in its own way, as totalizing, imperious, and as empty a gesture as the most authoritative of authoritarian theories. 3. As to the “Great Men” angle—yes, we’ve all been trained to repudiate appeals to the unquestioned authority of white male Europeans (and increasingly, “theorists” of any kind—including women and/or those of color). But do any of us want to pretend, in our desire to perform an “anxiety of non-influence,” that whatever critical work we engage in today is somehow wholly autonomous from this work? Not every appeal to an influential theorist of the past is a bid to crush difference; indeed, where would theories of difference be without the “great men” of Foucault, Freud, and “Mr. D.” his own bad self, Jacques Derrida? In this respect, while one can speak of a post-Marxist or neo-Marxist era, can we really ever imagine an “un-Marxist” era? 4. Do we want to retain a place in our field—whatever it may be at this point—for modes of critical/theoretical writing that indulge aestheticism and speculation, that proceed from the assumption that the chief task of media scholarship is to produce discourse about the media; or, will we settle for the fantasy that in our ever more localized, specific, and historicized attention to quotidian practice, we are somehow finally overcoming—through taxonomy and description—the fundamentally irreconcilable gap dividing language and truth? That said, I’m in complete agreement with Derek’s third paragraph—reassessment, redefinition, and soul-searching about the field…that’s really all we can ever do. I’m not so sure how common “active audience” work really is though. I notice a Vilas Hall circa John Fiske flavor to the commentators here — so perhaps we’ve entered a timewarp back to 1990 ;-) — but even when Fiske was seeing rebellion on the beaches of Cottesloe, active audience work was hardly hegemonic, except perhaps for the briefest of moments. I worry when I hear it being attacked, therefore, not because the excesses of active audience theory don’t deserve it (because they often do), but because those excesses usually exist in straw man form alone (even [and sometimes especially] when ascribed to Fiske), ever ready to be invoked when we want to convince ourselves that we’re doing the really cutting edge work, not falling into that trap into which those people over there did. I don’t know many of those “people over there,” though, and rumors of their vice grip on the discipline are exaggerated. With television studies’ recent amping up of critical production studies (not just poli econ) from people such as Caldwell, Havens, Tinic, Lotz, Curtin, and so forth, I think it’s all the harder to find those elusive active audience people claiming that setting up a Heroes blog is a blow against The Man. Most of the people I know whose profile might lead one to believe they’re active audience acolytes (ie: those in the much-maligned fan studies) see the study of affect as a way at getting at some of the fundamental structures underneath a society that is suffused with appeals to affect (indeed, the only three Adorno pseudo-fans I know are all fan studies scholars). So, while I’m not blind to the provocateur nature of your post, Jeff, while I realize it’s not just a big dump on active audience studies, and while others have already covered the benefits of your call for such introspection, I think that, ironically, criticizing the active audience scholar and seeing him or her as the culprit often allows us to avoid the form of introspection you call for, since we usher in the straw man, find ourselves and our own work better than him, and then feel comfortable again, secure in the knowledge that we’re doing the stuff that counts as good scholarship. If television studies hasn’t done the things you want it to do, though, it’s not (just) active audience work that’s filled the gap — it’s usually a random and eclectic collection of work in other paradigms too. I now take as a given that audiences are “active” and worry far less about the implication that this somehow replicates or assists “the industry,” or even “positivist sociology” than Jeff does. One can argue (as it has been argued against the entire “field” of “television studies”) that any attention, critical or otherwise, to what constitutes television, does the same thing. We are born co-opted. The large question is something like: What do we need to know about what we study? I think we needed to know more about audiences at one time and probably continue to need to know things about audiences. Like most rich theoretical and methodological strategies, however, “active audience” strategies can be applied in better and worse ways – or can be driven into the ground of the same point with more and more examples. Having never studied audiences I’ve only wanted to make it difficult for the people who do by asking other questions. In a way, that’s what Jeff is doing here. And I’ve worried for some time that our questions have led us to come to look quite like literary studies and film studies – not that there’s anything wrong with that for those who wish to pursue more detailed, precise, marginal, minor, specific, gap-filling, overlooked, lost, newly discovered and important (choose your modifier) examples and topics. Passion for and excitement over such specific aspects of any type of expressive culture is the luxury of our academic lives. That this luxury fosters guilt lies, I think, at the heart of Jeff’s essay. Personally, I’ve always thought Baudrillard was a fictional character he created, and placing him in a position of critique alongside references to the diminution of my retirement funds is not a nice story at all. The task remains to define the bigger questions and to pursue answers to them so that the more specific encounters can add up to something. I think that’s the point of Jeff’s essay. On this topic I recommend Milly Buonanno’s The Age of Television: Experiences and Theories (Intellect, 2008). In the introduction I refer to Milly as “a philosopher of television.” We need more of these. And since I reject the potential for pessimism that comes with all the somewhat closed-ended theories he referenced, I am, actually, willing to go with optimism for the sake of optimism. As a compass it points in better directions. Whether we get there or not remains to be seen. I realize that this may sound hopelessly naive, misguided…I don’t know…jejune? But I am having trouble making the connection between the collapse of the global economy, the mortgage crisis, melting icecaps, you name it, and our success or failure as media scholars pursuing proper or improper methods. The party is over, and we have been wasting our time discussing Gilmore Girls and Battlestar? Assessing where TV Studies is at, what kind of work we want to pursue, and which theories are useful or not is terrific–we are obviously all for it. Asking what the hell we are doing helps us move forward, find new areas of study, cast aside methods that don’t seem useful anymore, and create new approaches. Is the “chief task of media scholarship” to “produce discourse about the media” (back to point #4)? Well, sure, in large part. If you happen also to do research that leads you to teaching gay teenagers how to shoot and edit videos about their lives, appearing before the FCC to explain why Goth music should not be blamed for Columbine, consulting (yes, for cash) with video game designers about how to make games that aren’t misogynist, or testifying in a court room about why a magazine or videotape is not legally obscene, that’s fantastic, but we’re not all pitiful tools of The Man if much of what we do is study viewer engagement, write about new twists in the construction of TV narratives, or turn into “archive rats” (as Richard Hofstadter put it) and spend all our time on nerdy research that helps us better understand the past. So say we all. So sue me. I just wanted to add a second note in response to the recent posts from Jonathan, Horace, and Heather. I absolutely agree with Horace’s reminder that the initial move toward examining the more localized activities of audiences began as a corrective to modes of theory that had little use for the socio-historical specificities of cultural practice. But even in this shift in emphasis there was also a sense that the “media”—as an abstracted hallucination of the entirety of its products and practices—was a suspect, perhaps even sinister structural force worthy of constant critical engagement. As Michael points out, so much of the early work in reception studies (and even its feisty offspring, “fan studies”) proceeded from a position of alienation, marginalization, etc. (both in the audience and the scholar!). While I certainly don’t think we should simply return to measuring the cells that comprise the inescapable prison-house of the alienated subject, I do sometimes wonder if our collective desire to empower audiences through appeals to their sociological singularity and/or participatory zeal hasn’t served to evacuate important theoretical questions about television as a structural force, or even—to return to Baudrillard once again—an “evil object” that has through its proliferation and acceleration completely broken free of its human creators to obey its own logics and imperatives. Laugh if you want–but the existence of The Hillz, Dane Cook, and the upcoming media blitz that will surely attend the new “Tom Cruise as one-eyed Nazi” movie prove me right. Shouldn’t we still want to ask the larger theoretical questions that might help us understand how we came to live in a world of The Hillz, Dane Cook, and “Tom Cruise as one-eyed Nazi” movies, and how desperately sad such a world is (made even more sad by the fact that no one asked to live in such a world, and we seem so sanguine in simply letting that world exist). In this respect, my argument may be less with the “active audience” paradigm than the unexamined assumption that a “pro-active audience” is intrinsically a positive, healthy, and valuable mode of engaging the media. Are there occasions where a passive audience—as in disinterested, lazy, and disengaged—might not be the more “progressive,” “humane,” and/or “productive” strategy for co-existing with the media’s demand that we engage it more deeply, more often, more enthusiastically? I don’t think such advocacy necessarily means a turn toward pessimism or cynicism—there are many immutable forces in the universe that we can do little about: earthquakes, bodily decay, wayward asteroids. The media have clearly “won” in this regard—in the future we will all be asked to perform more and more labor to ensure the continued circulation of media hardware and software. In facing this future, will there still be a place for skepticism, antagonism, and critical disengagement—or is the only response a type of Stockholm Syndrome where we fantasize that the only way to “master” and/or change the media is to consume more and more of it, to confuse its successful campaign of multi-platform implantation with our own illusions of critical engagement? Finally, in response to Heather’s query, a brief comment on “indulging aestheticism and speculation.” By this I simply mean leaving room for critical writing that functions as a type of creative R&D and recognizes that critical inquiry is in and of itself a useful pursuit—even if it is purely speculative and somewhat aleatory. I am certainly not advocating some theoretical agenda that will trump all others in a philosophical version of Pokeman—rather, I was hoping to invoke our common intellectual ancestry to wonder, through the analogy of over-consumption, if we have simply abandoned the idea that less media might be a better idea than more media, or that passive disengagement might at times be a healthier strategy than manic immersion. I have nothing to add but wanted to thank Jeff Sconce for writing a sharp column and provoking such an discussion on Flow. Pingback: To Be Continued… » Blog Archive » Quick! Name Everything Altman has Directed, In Sequential Order, Including Television. Go!